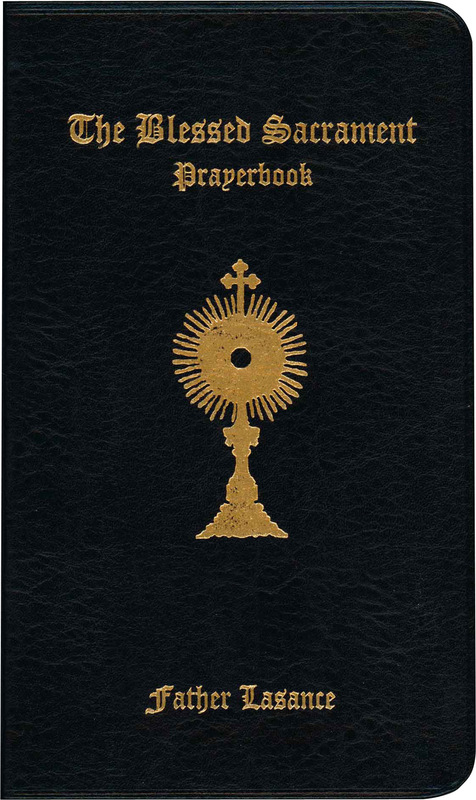 This is a very complete everyday Catholic prayer book with many novenas, hundreds of indulgenced prayers, the Ordinary of the Mass, Propers for many common feasts and masses, a current chart of moveable feasts, and a special emphasis on all of the prayers necessary and recommended for devotional visits to Our Lord present in the Blessed Sacrament. This prayer-book is amazing! It has a lot on the Sacred Heart of Jesus, great morning and evening prayers, the Asperges me, beautiful pictures, Latin and English on many prayers, and lots of other stuff. I have bought other prayer-books of Father Lasance and this is the best one. It feels very durable and well built, too. quoted from the blog, "The Pertinacious Papist"
In recent years many wonderful Catholic books have been reprinted. In September, 2009 this column mentioned Blessed Be God, a comprehensive collection of prayers. Today we are pleased to bring to your attention an even better resource, Fr. F.X. 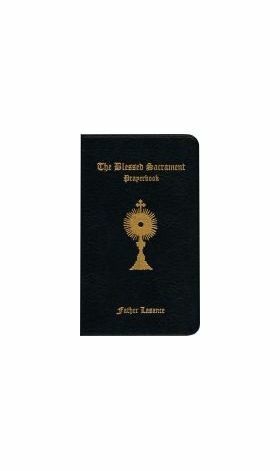 Lasance’s Blessed Sacrament Prayerbook, recently reprinted by Loreto Publications (www.loretopubs.org). Both books are similar, in that they strive to present a complete set of devotional prayers for the entire liturgical year. The Blessed Sacrament Prayerbook, however, excels. It uses a smaller type font and has less white space on the pages, compressing more content onto its pages. Many of the prayers are provided in both Latin and English. It is one of very few books to include the Little Office of the Sacred Heart of Jesus and the Little Office of the Immaculate Conception, two of the rarely printed, currently indulgenced Little Offices. One caution to readers: Because the book is a literal reprint, and not an updated version, the citations concerning Indulgences no longer apply. The rules for Indulgences were revised after the Second Vatican Council, thus none of the references are still in effect. Nevertheless, the book remains a marvelous resource for private prayer, for Holy Hours, and for quick visits to the Blessed Sacrament.